Being a developer working in tech is the new cool. Are you proud of being a developer? Do you want to code in style? 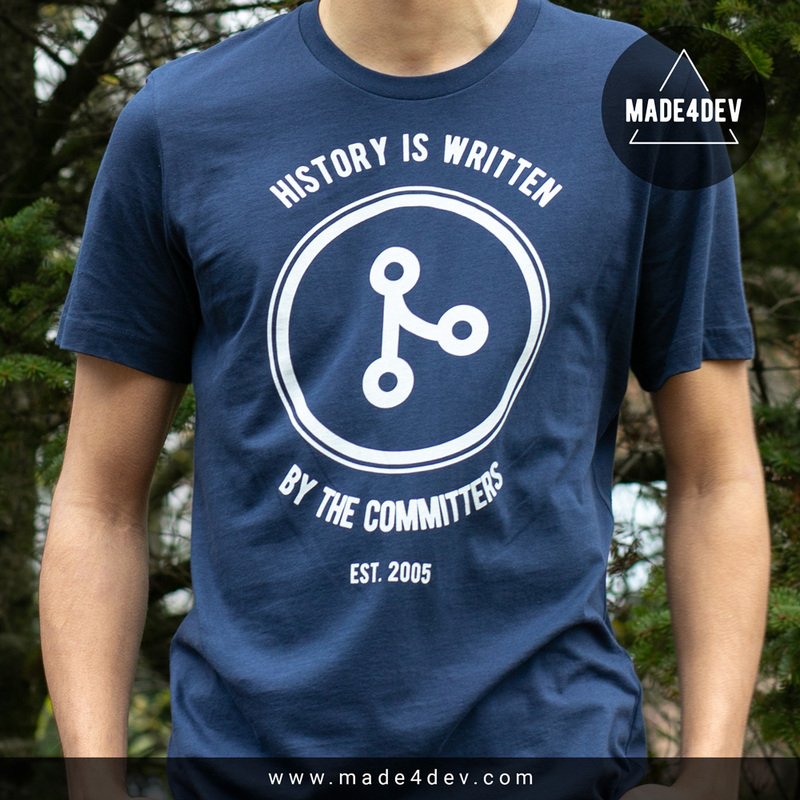 We’ve launched our apparel brand Made4Dev for all the awesome developers like you. All our t-shirts are made of highest quality combed and ring-spun cotton so they’re super soft and comfortable to wear while you’re coding. Unlike the cheap boxy t-shirts, they’re tailored to flatter your body so you will not only feel good but look great wearing them. They’re perfect for all year round. 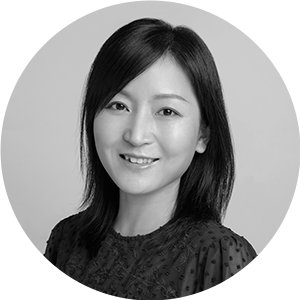 All the t-shirts are designed by our designer Xiaoying Riley (Yes, she designed all our free Bootstrap themes and templates for developers too!). If you’re interested in the story behind the t-shirts. You can find out more on the brand story here. In this blog post, we’ve selected our top 10 tees we think you’d love as a developer. Which ones are your favourite? Leave a comment below! 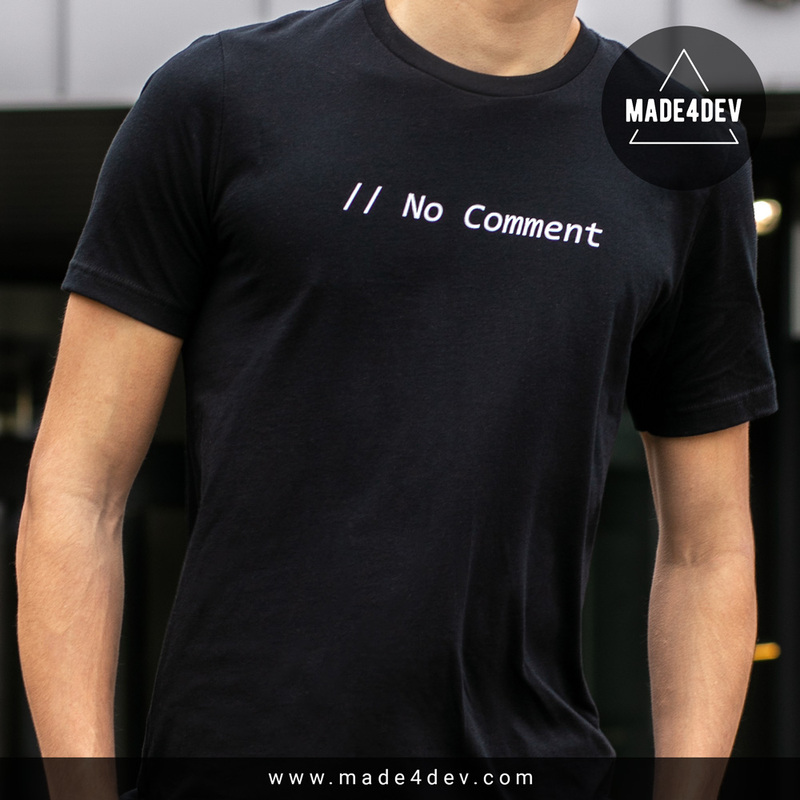 This t-shirt speaks developer literally! 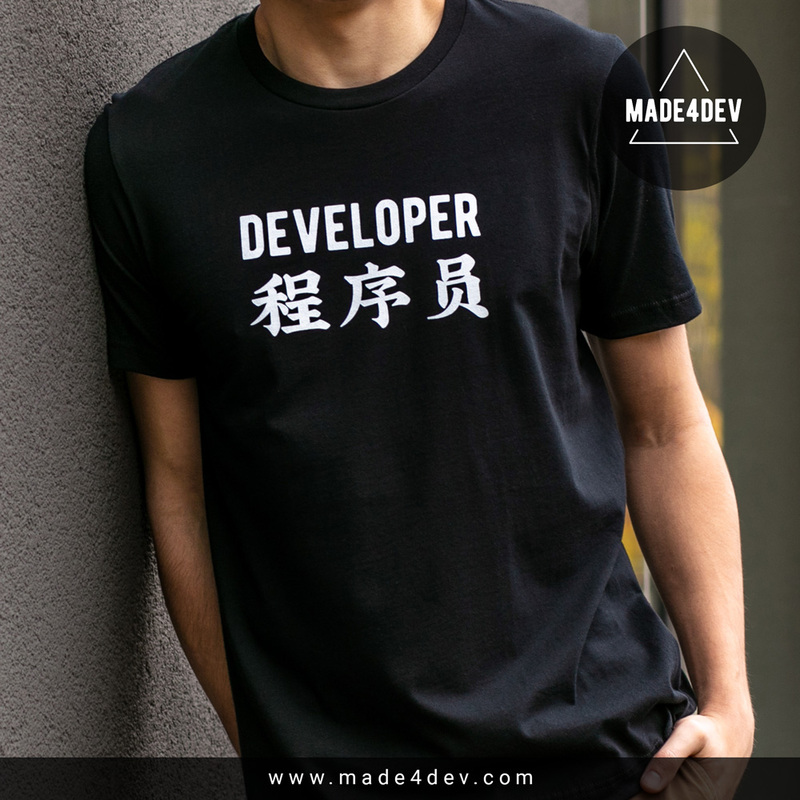 The special Chinese calligraphy “Developer” injects the coolness and style to this tee. 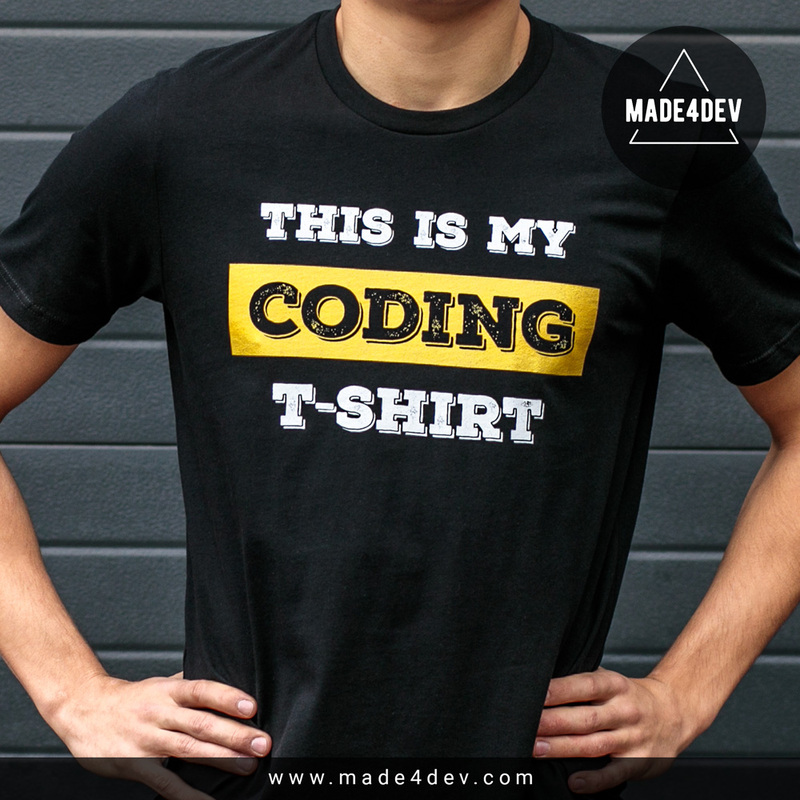 An eye catching essential tee for any developer who is proud of what they do. 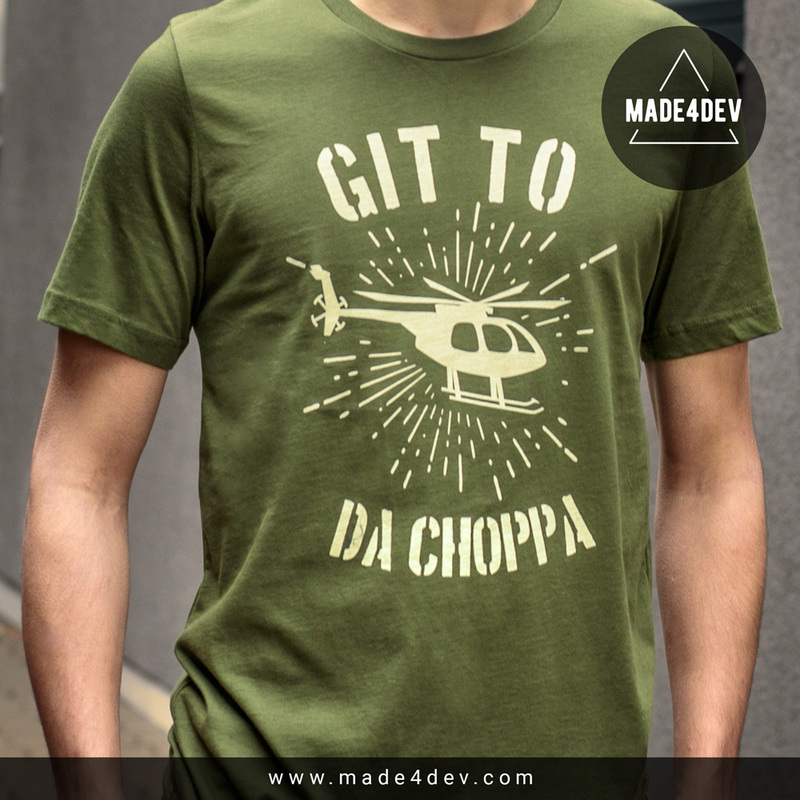 Subtly referencing Git and the Predator movie, this tee looks great in olive or black. “Git commit” every day? This t-shirt is for you. Fun fact: 2005 is the year git was initially released. Need caffeine to code? 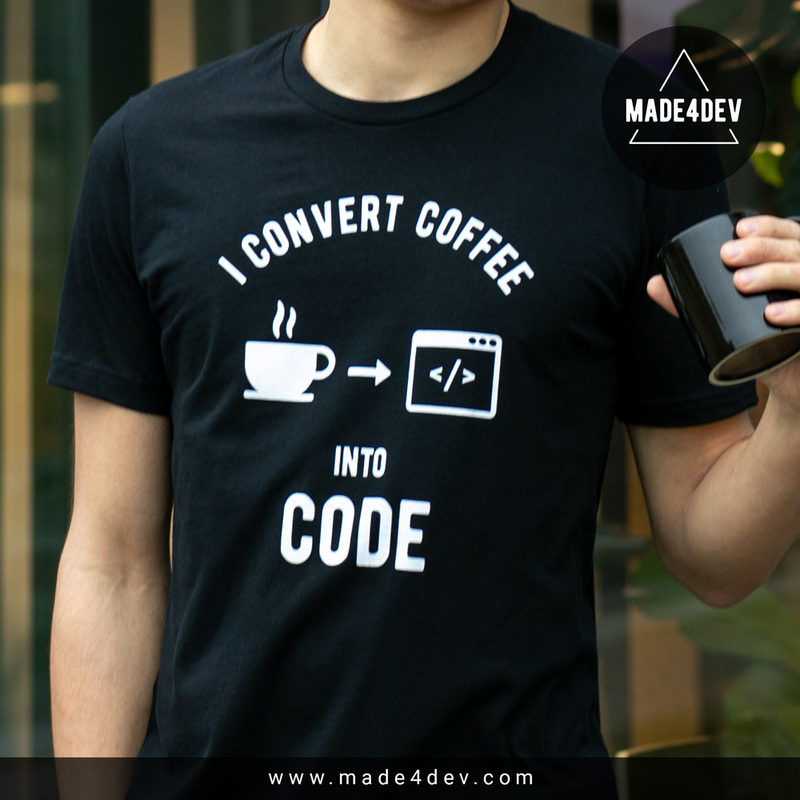 This t-shirt is a classic one for any coffee-loving developers! 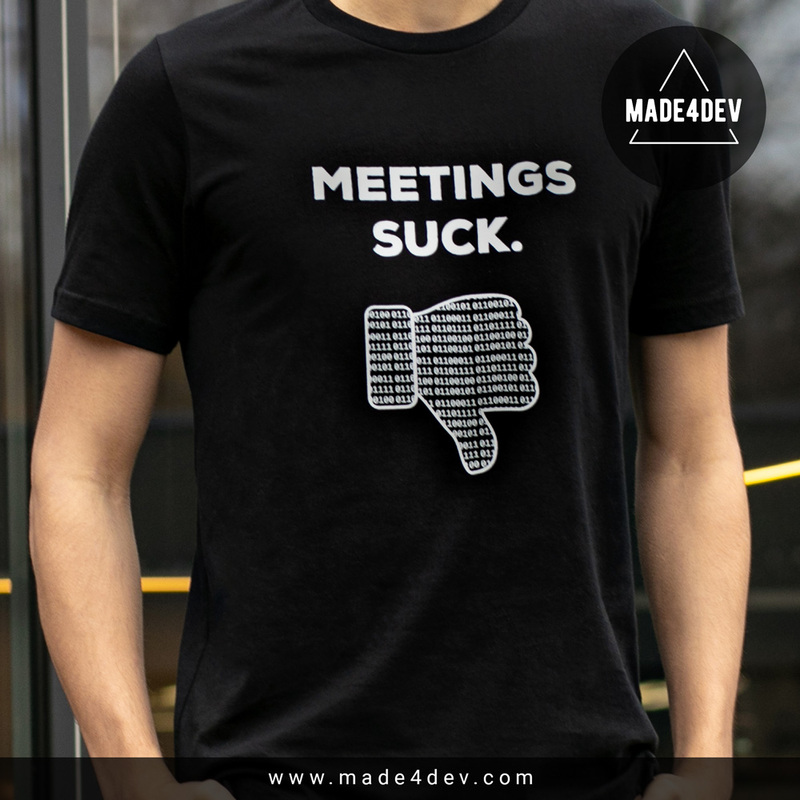 We all hate meaningless meetings! Office joke anyone? 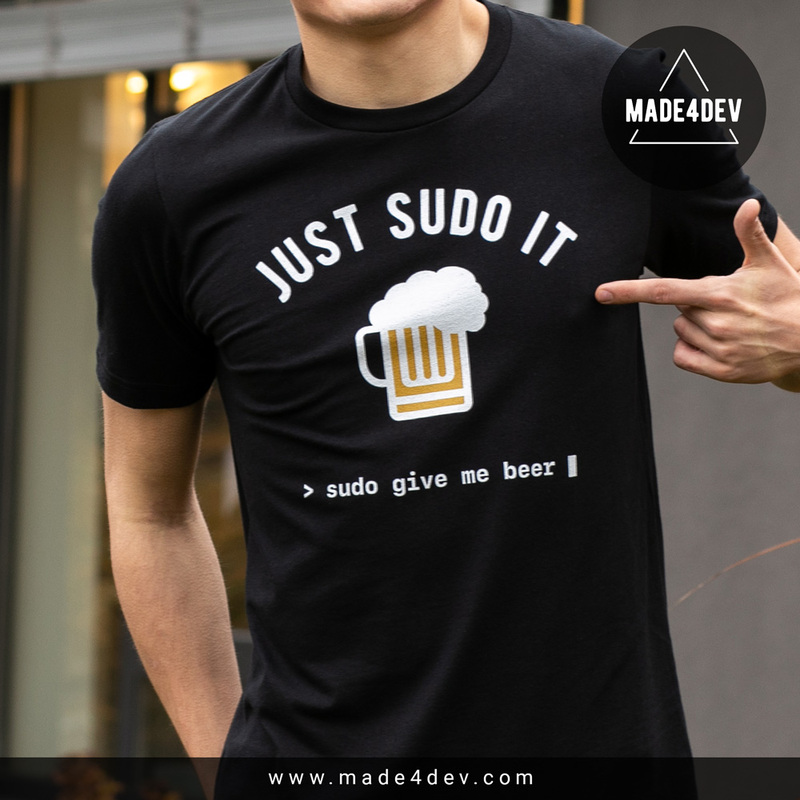 Cool-looking t-shirt for full stack developers! Great for web conferences or networking events. 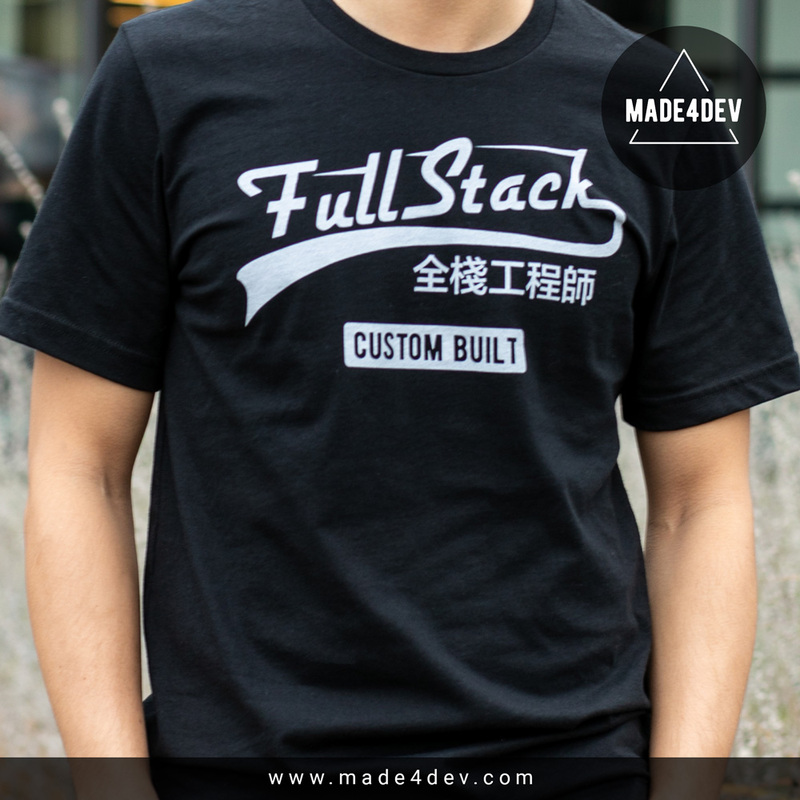 The Chinese characters translated into “Full Stack Developer”. Still can’t find the ones you like? 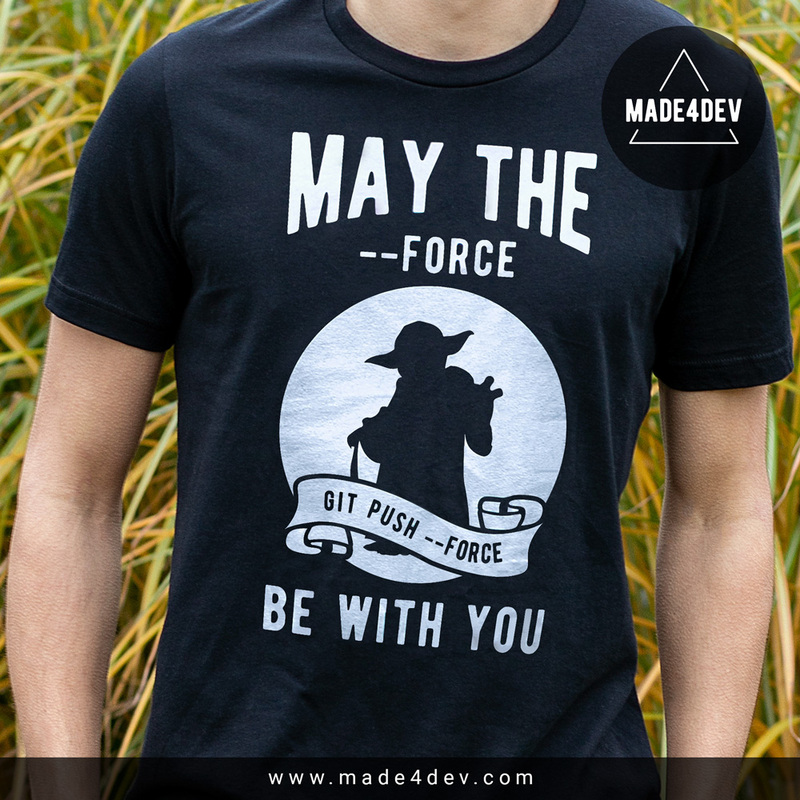 Take a look at other cool t-shirts on made4dev.com. We’ll be adding more designs shortly (Xiao is working on them) so keep your eyes peeled!